You’ve already bought the rhinestone collar. Your dog lounges around the house in his own Snuggie for Pets. The doormat proclaims that you’re just a visitor in your cat’s house. 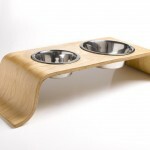 What do you get for the pet who has everything? Chronic pet spoilers, fret no more. Etsy artisans are hard at work creating the perfect items for your menagerie. 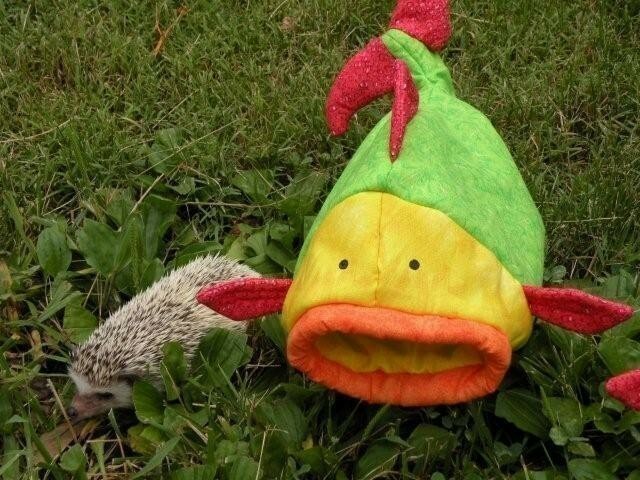 Has your pet been getting bored of the mundane, generic pet pillow that you bought from the pet store? Try ramping up the luxury with a custom-made pet sofa and chaise sectional lounger. This is one sofa where feet are encouraged. If everyday pet treats aren’t cutting the mustard with your dog, it may be time to invest in some all-natural and organic rawhides. 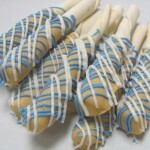 These doggie delicacies are dipped in natural peanut butter and gently drizzled with blue and white yogurt. For those pets who have trouble getting around after enduring years of hardship in your cruel, belly-rubbing care, a set of custom pet steps are in order. 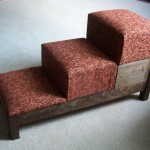 Those comfy couches and beds that are hard to reach with old aching bones are just a few custom steps away on Etsy. 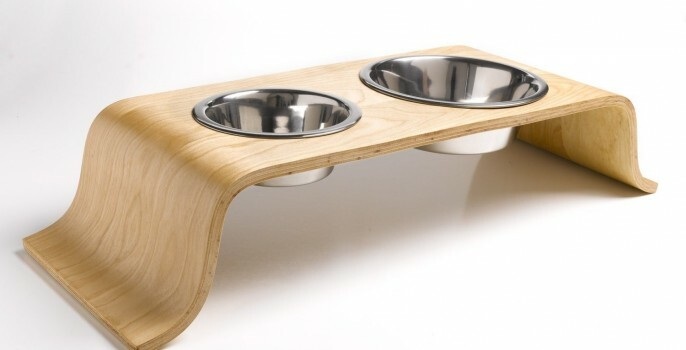 If your home has a modern style and the plain ol’ dog bowls are bringing it down, add a simple Scandinavian touch with a curved bowl holder made from birch and maple veneer. Don’t let the natural wood get you down if you have darker cabinets to match with, it’s also available in Zebrawood. If portraits hanging over the mantle is a little too over the top for your tastes, let your pet make even more of a statement in the kitchen with a custom portrait of their furry visage on a treat jar. Save yourself the embarrassment of giving the dog the cat treats ever again – there will be no question of whose treats lie within. While it’s certainly fun to see the extravagant items, there’s also lots of cute and practical handmade pet items to be had on Etsy. 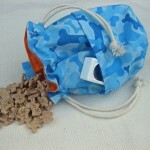 The blue bone-themed dog training treat bag holds treats, a clicker and has room for other small items like a toy or tennis ball. For the times that you can’t get outside for the real thing, there’s a toy stick complete with felt leaves and a squeaker inside. 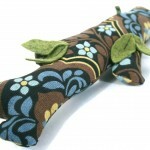 Catnip kickers are a perennial favorite for our feline friends. Our cats love their handmade, knit kicker. 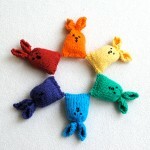 These rainbow catnip bunnies are a new spin on a half-kicker that the kitties are sure to love. 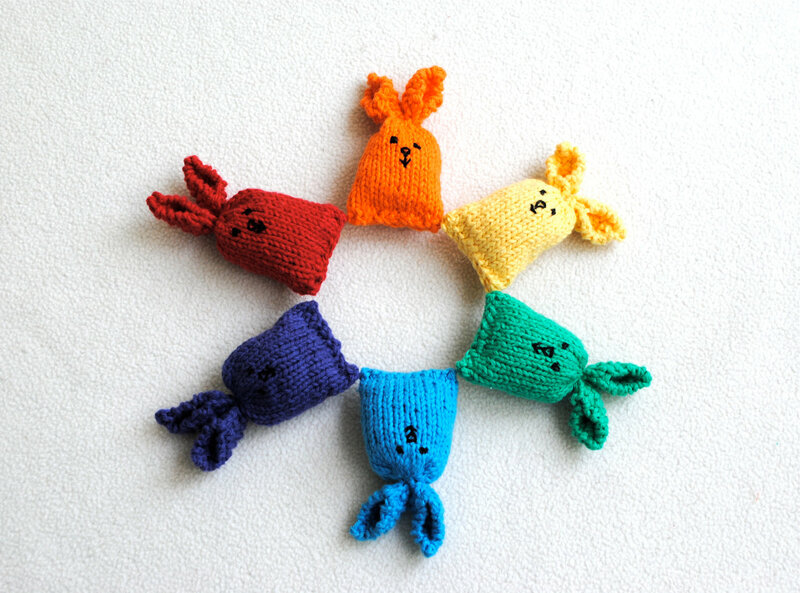 We also can’t forget about our more miniature friends; a fish sleep sack should make them nice and cozy. For those that aren’t house-trained, don’t worry – it’s washable! 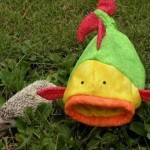 Next time you’re shopping for that special furry someone, take a gander at the handmade selection on Etsy. There are plenty more cute items and I promise it’s a heck of a lot of fun to look through. There’s also no better source for affordable organic treats. Yum! 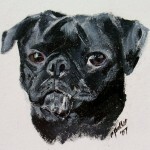 Cover image by RoxieDoggie on Etsy. What a great post. So many wonderful handmade pet items.